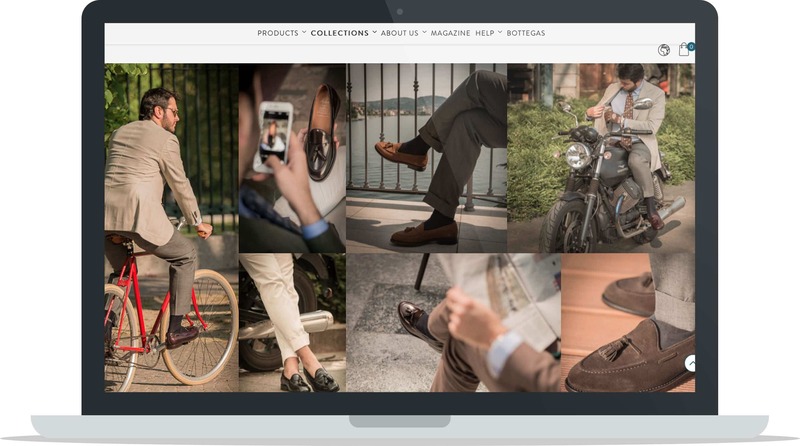 In this case study learn about Velasca, an Italian based shoe and accessories ecommerce business that prides themselves on their high quality, Made in Italy, products. 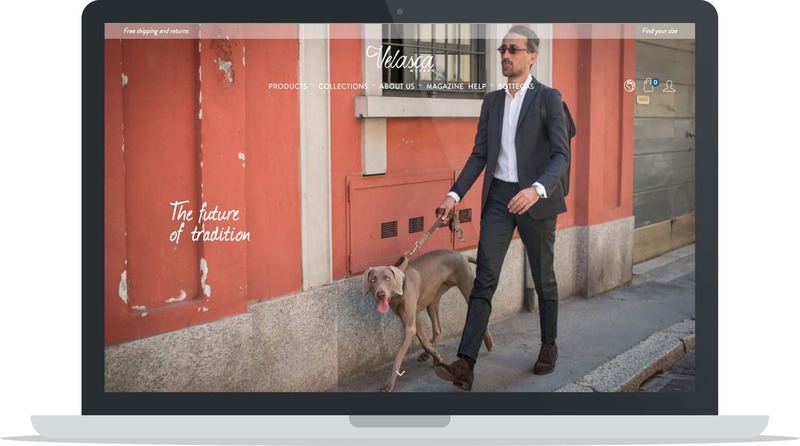 Learn how their founder Enrico jumped into creating the business with no audience to sell to and no market testing, and how they’ve competed within their niche by offering an exceptional price/quality ratio and a memorable brand experience. Velasca attributes its biggest successes to listening to their customers so read on to find out what you can learn from them. 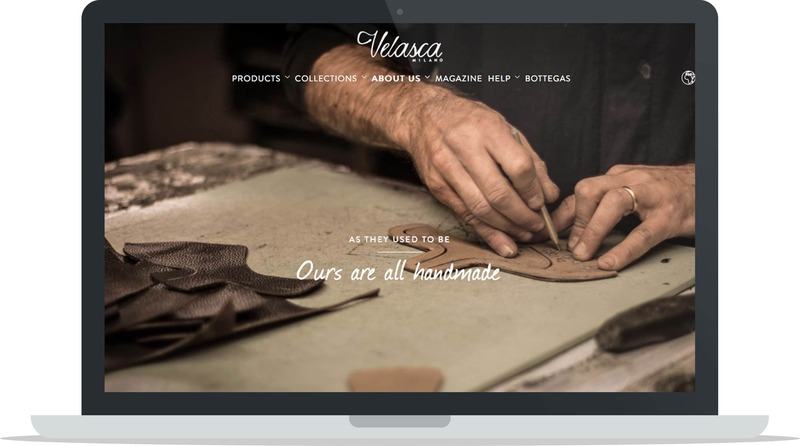 Where did you get the idea for Velasca’s shoes and accessories? Was it based on your own needs or your own desire for quality products? The original (naïve) idea comes from a personal need that I had in the summer of 2012. I was working as a banking analyst at the time in the city of Singapore and I couldn’t find a pair of well-designed high-quality shoes without overpaying for it. In fact, in Singapore as in many other places around the world, if you want a pair of handcrafted shoes your only choice is to go to the big luxury brands usually located in shopping malls (Ferragamo, Santoni, Church’s, Hugo Boss, etc. ): the only catch is that their distribution model requires a multiple on the actual cost of the product that just wouldn’t make sense to me (7 or 8 times if not more). You end up paying north of 600 euros for shoes that cost 90 euros to make. 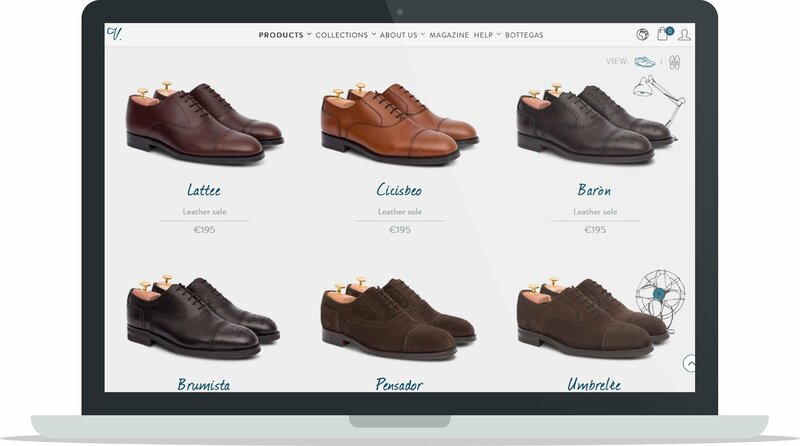 I felt there must have been a better, more efficient way to serve the needs of that same customer, and my answer was Velasca: a shoe brand entirely built online with the mission of offering luxury-quality shoes at affordable prices. No more intermediation, just high-quality products and a direct relationship with passionate customers around the world. How did you know there was demand for your shoes? Did you test demand prior to launching, if so, how? To be completely honest, I haven’t done much testing prior to the launch of the first website & collection (in May 2013). The testing was much more after the launch as I learned about the different techniques of building a business online. 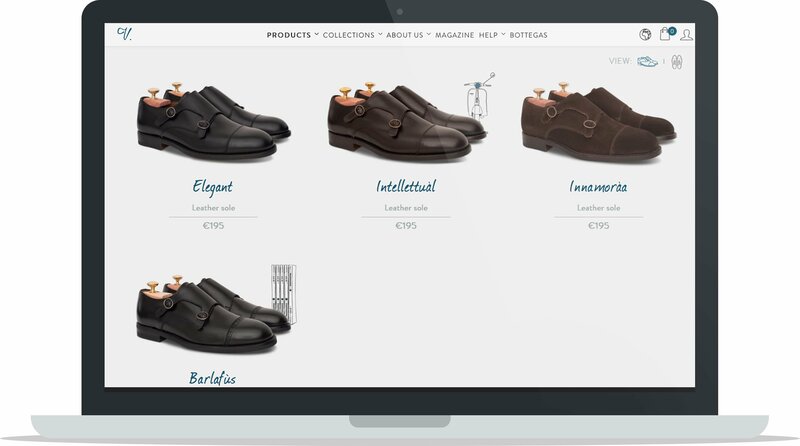 In a way, I was a bit reckless to venture in such a difficult project without any experience and any specific knowledge of the market; thankfully my personal need turned out to be shared by thousands of other people and now Velasca ships more than 1,000 shoes per month. If I had to start all over again, I would indeed focus a lot more on really deeply understanding my target customer. I can’t stress this enough. Our biggest wins always come from listening to our customers! The footwear industry is a heavily saturated market, meaning it’s hard for most businesses to survive and compete. How have you differentiated yourself from your competitors? I’d say the price/quality ratio and the overall experience with our brand (design, communication & marketing strategy). I really believe the underlying asset of Velasca is the ability to relate with our customers and deliver an outstanding product that is accessible. What challenges have you faced when sourcing materials for your shoes? How have you overcome these challenges? Building solid relationships with the best artisanal workshops has been our focus from the start and I must that it wasn’t easy. At the beginning it took a lot of convincing and hustling; as soon as sales started to pick up, everything became way easier on the supplier side. How did you find the right factory to make your shoes? How important was it to you that your shoes be made in Italy? The Made in Italy component of our shoes has always been an integral part of our overall strategy. We wanted to offer the best on the market, and Italy is still #1 for finding fine shoemaking workshops. How do you design your shoes? Do you work with a product designer or do you design them yourselves? At first we had to design the shoes ourselves due to a lack of resources. Thankfully, our value proposition revolves around a timeless, tasteful style and isn’t focused on fashion, otherwise we couldn’t have pulled it off. Now we’ve hired a full-time designer to help us out, and I’m confident she’ll be able to add her personal taste and intuition to our classic designs. I started off with no audience, and that is definitely something I would change if I had to start all over again. Building an audience prior to launch (even just 5,000 people who carefully listen to you and value your opinion) just makes everything easier and much less stressful: I’ve learned that by doing and I’ll make sure to apply my own advice in future ventures! As simple as they are, I really like Trello for to-do lists & Slack for team communication. I chose PrestaShop (open source) at first mainly because in 2013 I wasn’t aware of Shopify and the great potential it had back then. Now I wouldn’t think twice honestly: Shopify is light years ahead to start out and test the market. How did you take your product photos? Do you hire a professional team or do you take them yourself? I hired a professional: photos and videos have always been key to us to convey our message and I never wanted to risk coming across as amateurish. Did you start out shipping & fulfilling orders yourself when you first started or did you immediately use a shipping & fulfillment service? What tools/apps/products do you use to help streamline your shipping strategy? Yes I did! At first it was all me shipping orders from my parent’s garage! I would do it all over again as it taught me how to handle our relationship with the logistics company later on and it also allowed me to have ownership on the entire customer experience. Do you optimize the designs of your shoes in any way to make them more optimal to ship? For example, do you focus on the weight or the bulk of the shoe or do you just create great shoes and figure out the shipping cost later? To be honest, we just create great shoes and figure out the shipping cost later. Is the unboxing experience important to you? Is it an extension of your brand or is it unnecessary? It is so absolutely crucial! I encourage everyone to take a hard look at their product boxes and think hard and creatively on how to improve it. On our end, we’re continuously improving on it. Velasca works well with any kind of paid advertising that has an emotional (graphic) component to it: i.e. Facebook Advertising, paid native, display or video advertising and working with influencers. Email remarketing is also a great way to engage with our registered users and get them to convert into customers. What never really worked for us is Google Adwords. Besides my friends and my personal email list, the first customer who came by a paid acquisition channel was through Facebook Advertising. We invest mainly in different programmatic native acquisition channels (with Facebook having the lion’s share of the business) and re-market our users with display and email touch points. As mentioned previously definitely not researching enough before launch and not building an audience while still having the comfort of a salary check every month. Persevering through and through and achieving what I was only dreaming of at the start. I’m not too fond of generalist advices to other people as every personal situation is different but if I had to say what worked well for me is hitting my head hard against any wall (problem) I’ve encountered and figuring out how to overcome it in the smartest possible way. Don’t hire other people to do your job if you haven’t built a system before: it’ll only make things worse. In terms of numbers, our goal is to triple our monthly sales volumes within 1 year to 3,000 pairs of shoes. I would like to have 20% of that from the USA! At the moment, what really drives success and scalability to Velasca is thinking deeply about the experience our customers have at any touchpoint and trying to figure out creative ways to improve it and, most of all, automate it!